The well known and extremely talented designer Darrel Ralph produces some of the most sought after tactical and collectible knives on the market and for good reason. New from HTM Knives and featured in the 2010 summer blockbuster “The Expendables”, the AXD 5.5 Tanto Folder is now at the KnifeCenter. This assisted opening beast of a knife is 11-1/2″ overall with a 5-1/2″ S35VN blade that flies open with just a little pressure on the flipper. The 3D machined Titanium handle is curved for excellent ergonomics and has a solid frame lock which is very easy to manipulate. The knife comes with an HTM zipper carry pouch and can be found at www.knifecenter.com. Darrel Ralph is one of the true geniuses in the modern knife industry. An accomplished custom knife maker whose work is among the most well-received in history, he is also an extremely talented engineer and inventor. 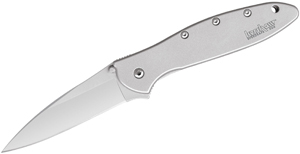 The AXD knife has been a market best seller since Darrel Ralph introduced it in 2002. It has a unique design shape that fits your hand perfectly no matter what size you hand is. The back of the frame has a built in Skull Cracker. 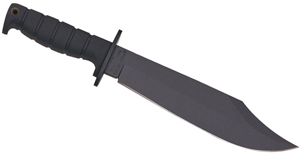 Along with it good looks goes the wicked tanto blade style. The Handle has an Aerospace Titanium knife frame, with a 3D carving engraved into the frame. The solid frame makes out frame lock knife one of the strongest out there. The S35VN blade steel is one of the world’s best grades of steel for edge longevity and corrosion resistance. 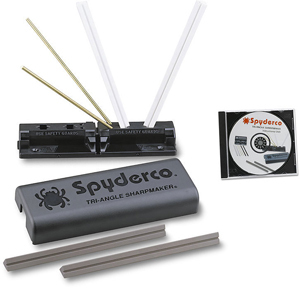 The opening action comes with either a manual flipper or SAO (Spring Assisted Open). The spring assisted opening is similar to a switchblade knife in opening speed and action but does not come with the illegality problem of many AUTOs. Proudly made in the USA. Camillus Folding Beast is Just That!